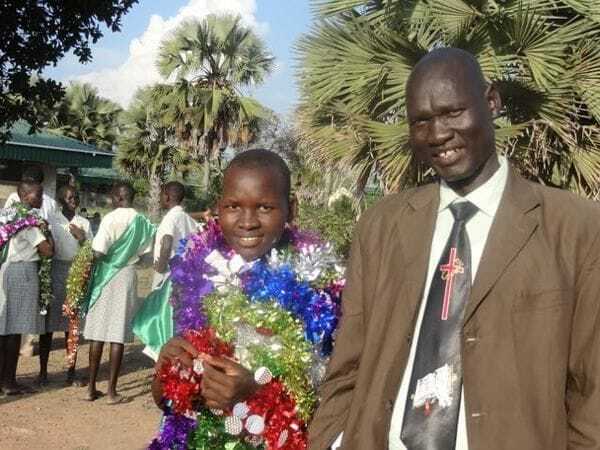 I write today of two women in South Sudan, one a missionary whose life was tragically ended in unprovoked violence last week; and one a young woman who, against the odds, has just graduated from Loreto School in Rumbek: two women of great character from very different backgrounds, whose own words convey strong and moving messages. Recently somebody asked me why I am staying here under such circumstances. Why- Because Jesus continued his way and did not give up when it became difficult. He accepted suffering, hardships and carried the cross till the end. He remained obedient to the will of the Father. He was always with the people. He did not abandon them. He was even ready to accept the death, because he loved them. Being a woman disciple of Jesus I am following the footsteps of Jesus in the power of the Holy Spirit. 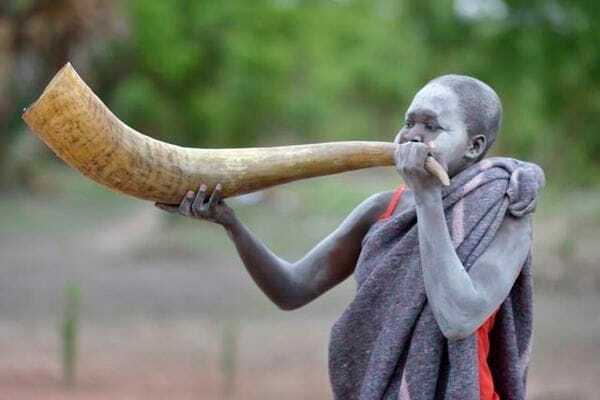 I cannot leave the people of South Sudan because I love them. They are happy that we stay with them, pray with them and work together building this young and fragile country. The people need our support, prayer and help. At this junction I would like to thank to all who supported us with their prayers, sacrifices and finances. We are called to be a sign of hope especially in the time of darkness. God will never abandon us because he is he is our Emmanuel=God with us. The second young woman, whom I have met on my visits to Loreto for School Board meetings, wrote as follows. I have changed only her name. 'I am Mary Theresa Legge. I am the first born in a family of quite a good number of children, six stepmothers and several aunts and uncles. The size of the family made it too hard for me to attend my studies regularly. This was because I had to do my domestic duties which at times prevented me from going to school. this was worst especially when I was in primary because I was in a day school. My stepmothers with whom I stayed wanted me to sit at home doing domestic work as my young step siblings went to school. My mother got pregnant when she was a young girl by my father. Her father did not want my father so he gave her to another man as my father took me. He gave me to my stepmothers with whom I stay today. These women were not good to me and kept pushing me from one person to another working for them. Sometimes, I would go to school late because I had to first sweep a large compound, wash the dishes, fill the pots with water and prepare breakfast before going to school. I would find the school gate locked and would receive a lot of beatings from my teachers. This made me cry bitterly because nobody understood what I was going through. If I go to school without doing any one of my domestic duties, my stepmother would beat me and not provide me with lunch and supper. Lunch was not a problem to me because I was used to life without it. In the morning when I went to school, I had to carry the money with me so that I passed by the market to buy items to cook for supper after school. I would drop my school bag on arriving home and go straight to the kitchen to prepare supper. I only rested at night where I shared one thin mattress with my two cousins. My father use to leave very early in the morning and come late in the evening. He did not know much of what I was going through and I did not tell him because he would even beat them. That was the last thing I wanted, so I chose to keep it to myself. Most of my class mates who experienced life almost like mine looked for husbands and advised me to do the same. They said it was the only way I would find peace and love but I refused. My father struggled to make sure I stayed in school though I was academically poor. Resources to educate me were also a huge problem with all the number of children he had. I struggled to finish primary school. I miraculously passed my exams. This gave me more hope and interest to further my studies. After primary school, I had no idea of what I would do next. My father could not manage to further my studies because he lost the only lumbering machine which was his only source of our income. It was stolen by the co-workers of my father. God with mighty works opened another way as I was almost giving up. He got a job and I also heard of Loreto which my father suggested immediately when he got a job. I prayed so hard to God to get an admission and God answered my prayers. The first day I arrived at school, I was taken to the dormitory by my 'school mother'. The fact that Loreto was a boarding school made me so happy. As I stood there that day, I knew it was my next home. A home that I had loved so much and longed for. So much can be achieved if opportunities are given. There are currently just over 400 missionaries in South Sudan. Each would stay with Sr Veronica, 'We are called to be a sign of hope especially in the time of darkness'. What hope would other girls have, in similar situations to Mary Theresa in this polygamous society, if the Loreto Sisters had not chosen to go to the region and, with the generous support of many donors, develop a quality boarding school for girls? It is not easy to be a girl or woman in South Sudan but missionary sisters certainly bring genuine hope that life can be better. Sr Veronica wrote: 'He (Jesus) did not abandon them. He was even ready to accept the death, because he loved them.' Veronica, an immensely talented woman gave her life so that others may come to know, as Mary Theresa said, 'that even in the darkest hour of life, God can still show his might and power,' a might and power, not imposed by soldiers with weapons, but delivered with the profound tenderness of one who cares for others. We salute these two valiant women in their resolute belief, and in the power of their love.